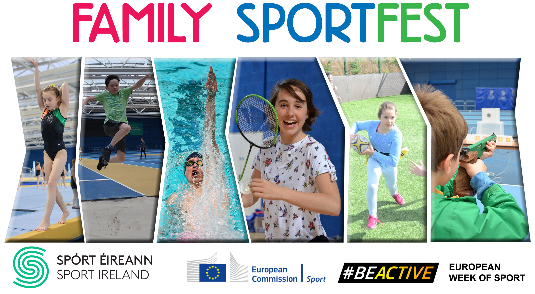 The Sport Ireland National Sports Campus will be hosting the second Family SportFest on Sunday, September 30th. The Family SportFest is a one-day event celebrating all things sport! The world- class Sport Ireland National Indoor Arena will play host to the majority of the event itinerary, ensuring the event is weather-proofed! Make sure to wear your runners so you can enjoy and experience sport at a whole new level. A range of National Governing Bodies of Irish sport will be highlighting how you can get involved in sport in your area, for young and old and all abilities. The ambition & dream, which began in the late 1990s, that Ireland would one day have a world-class Sports Campus is now a reality. Come and see the home of Irish Sport, Be Active and Be Inspired at the Sport Ireland National Sports Campus. No tickets left for #FamilySportFest. We are completely sold out!